With us at DLC.dk you will find hundreds of free games. One of our most popular game sections for free games is abandonware. Abandonware is old game released by the manufacturer for free use. The popularity of the section is because the games are first and foremost free, but secondly, the good old games bring a lot of memories to many of our users. With that said, it may be hard to find the gold grains if you do not already know them. That's why we've collected five of the very best old games that you can download and play freely. The game that started the shot-em-up genre. If you did not play Wolfenstein when it came out, you now have the opportunity to try it. In Wolfenstein you are located in Nazi Germany, and your primary goal is to fight Nazis. However, this is not a peaceful solution, but rather a more violent direct approach. Wolfenstein was originally developed for DOS operating system back in 1992. Therefore, you can usually experience problems with the functionality of the game if you download it to a Windows or Mac computer. But we have made sure that the download file has included an emulator that will allow the game to open on your system. The name of this emulator is DOSBox, so you should not wonder what this file is doing in your folder. Just ignore the file as the game itself makes sure to open the necessary files for the game to run. Since Wolfenstein was originally developed for DOS, it also means that the style of play is different from other games. If you previously played Wolfenstein, you might remember how the camera is almost locked to one's movements. It takes a bit of anxiety, but overall it works quite well. Using the emulator, you can also use both mouse and keystroke. If you really want, you can also use a checker. The various controls are available on the start page of the game. Despite the fact that Wolfenstein is just a flashy action game, there's still a story that's going through. The story is divided into six episodes, and you can choose where to start. The story is developing, so we recommend starting from episode one if you have not completed the game before. Even so many years after publishing, Wolfenstein is a happy rethink. It's rare that a game survives the years as well as Wolfenstein does, and our childhood memories were far from broken by playing it again. Dynablaster is another blast from the past, literally. Dynablaster is about blasting your opponent into the air using bombs. But to make it happen, you have to blow your way to him, and along the way you can find different bonuses that make your bombs even better and more devastating. 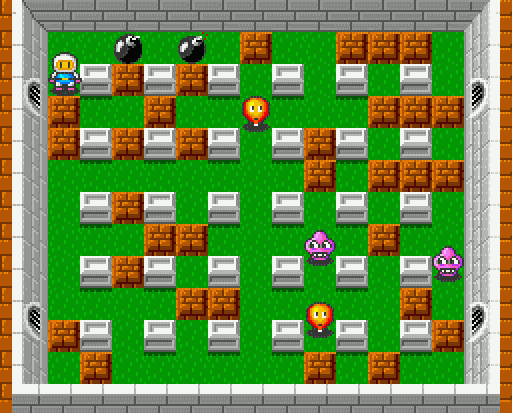 The game varies in severity, and in the number of enemies. In addition, you are also limited by time, so you must carefully consider your moves. It results in a lot of action and quick thinking. Dynablaster was also originally developed for the DOS operating system, and therefore you are limited to the keyboard to play. The result in this, however, means that you can download the game on, for example, your laptop, and have good nostalgic entertainment with you on the go - no matter whator you are. Who, however, can not remember good old Super Mario, a game that took the world by storm. So much that both TV shows and movies were developed based on the game. The Super Mario universe is still further developed today and is still a big success for many. However, it's the original Super Mario that we're talking about here. Just like in the newer publisher, you need to jump into question marks to collect patterns, jump on animals to kill them and fight against the feared Cuba. As is said, this version of Super Mario, which started it all, and many of us may well remember it from children. But although it has been further developed on the Super Mario universe, you still have the basic playing elements with you in the original. All of this results in a game that was far ahead of its time and a game that is still incredible entertainment today. Can you remember Moonstone? The game where you, as a warrior, are sent out of druids in search of Moonstone, which is the only thing that can overcome the evil that has crossed the earth. Choose between one and four players and start your journey into a sacred knight. In your quest you face several monsters, collect gold and buy divergent equipment. The game was one of the first RPG (Roleplaying Game) and you quickly find many well-known items that are standard for today's RPG. 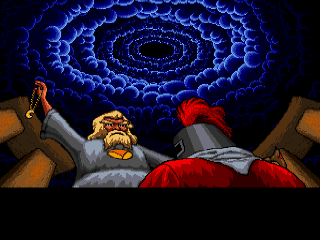 Download Moonstone - A Hard Days Knight. Transport Tycoon Deluxe is one of the first and most well-developed strategy games ever. In the game you act as an industrial car and it is your task to build the infrastructure in the universe. The version you can download from us is called Open Transport Tycoon Deluxe (OTTD). This version contains both the original Transport Tycoon and all later developed expansion packages. It's completely free. With that said, do not change this version on the original game play, and the game works just as perfect as it did back in 1994. The game has also been translated into Danish, but you can of course still choose to play it in English. In addition, it has a huge online community that constantly develops various online content that helps you provide an enhanced user experience. The online team is all from graphics updates, additional music, better animations, etc. Basically, just an extra feature that ensures that the game can be played for quite a few hours before getting bored. As one of the first games, Transport Tycoon also has a random world generation. That is, when you start a game, it's always a new world and not a standard template. If none of the above games is tempting, we will refer to our abandonware category where you will definitely find a childhood memory.